Offshore drilling is a complicated and challenging process, and even more so in the Arctic. However, growing industry interest in offshore oil in the Canadian Arctic means oil companies need to prepare for subsea drilling in the far north. As existing oil sources run their course, new regions and resources are gaining the interest of energy companies. Currently, it is estimated that about 30% of the world’s undiscovered natural gas and 13% of undiscovered oil is in the Arctic. Moreover, subsea drilling would cut out the pipeline middlemen, and producers could transport their oil on tankers directly to their clients. Out at sea, mobile drilling rigs are the common denominator. In the Arctic, rigs need to deal with dangerous sheets of floating ice. This takes a great deal of specialized oilfield support equipment. 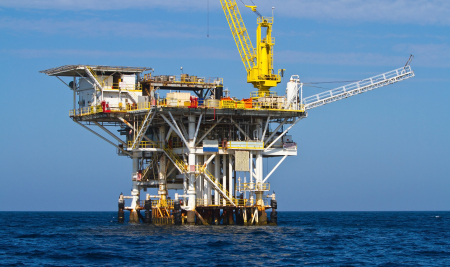 Rigs must be smaller and lighter than normal drill ships to avoid obstacles. It’s also important that they have built-in ice protection, so hulls are carefully reinforced. In order to avoid ice, rigs have to be able to predict it. Ice monitoring centres throughout the arctic combine radar and satellite data to observe and predict sea ice in real time. With the help of scientists and meteorologists, it is possible to plan for the best ice-evading drilling plans. A huge area for growth is in subsea processing. There is a lack of sufficient pressure to pump oil out from the deepest depths of the arctic, so contingencies need to be designed to work with the oil at the ocean floor. In the next few decades, the industry will work to increase oil recovery through full well-stream boosting and water flooding, to create incremental capacity through separation, and to improve the economics of gas production through compression. Some of these technologies are already under development or application. For example, there is already a subsea compression station in Norway, addressing natural gas needs. This vastly increases the production capacity from the well, as the closer the compression is to the field, the better. Moving towards undersea production means cutting out expensive platforms and replacing them with underwater equipment. However, just like on land, subsea oil equipment needs care and maintenance, and that requires communication. Beyond pressure levels that human divers can attain, remote-operated vehicles carry out maintenance and operational tasks, attached to platforms by electrical cords. The next generation of remote operated vehicles need to be more independent, so that they can address problems without direct human interaction. Such a robot would be ideal for harsh environments such as the Arctic, where ice would sometimes prevent cord-communications. The other key for autonomous undersea robots is for them to be able to interpret and use huge swaths of data. As the oil industry becomes more and more digitized, greater amounts of information are available to guide autonomous vehicles in all kinds of environments. But in the Arctic, robots must be truly autonomous, and won’t be able to rely on teams of experts to determine what is and is not important. Integrating data into a comprehensible form will be the key to developing effective subsea technologies.